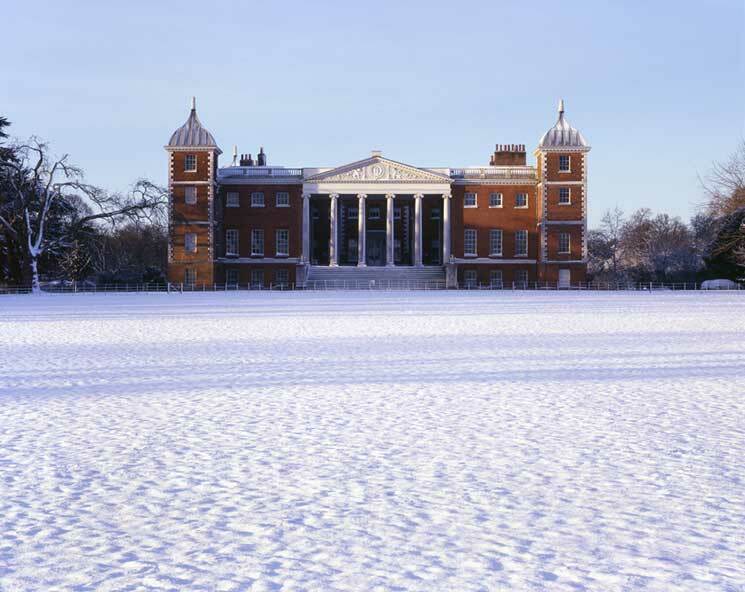 Why not take advantage of the cold weather and take a walk in a wonderful National Trust property. 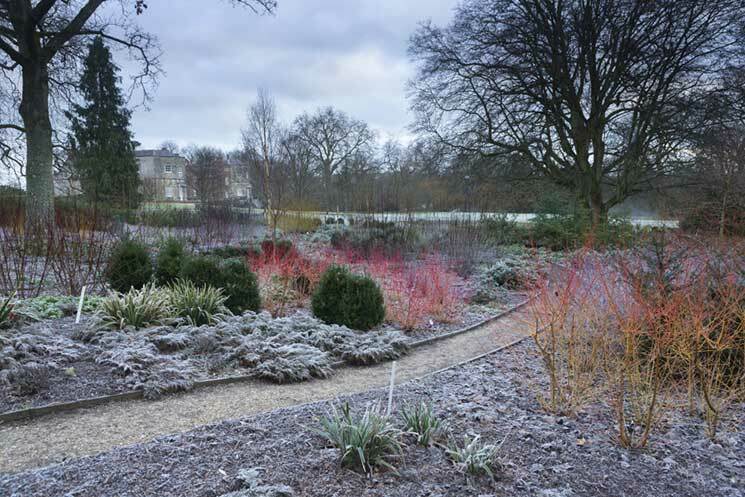 Here’s our pick of the gardens that are at their best on a crisp, frosty day. 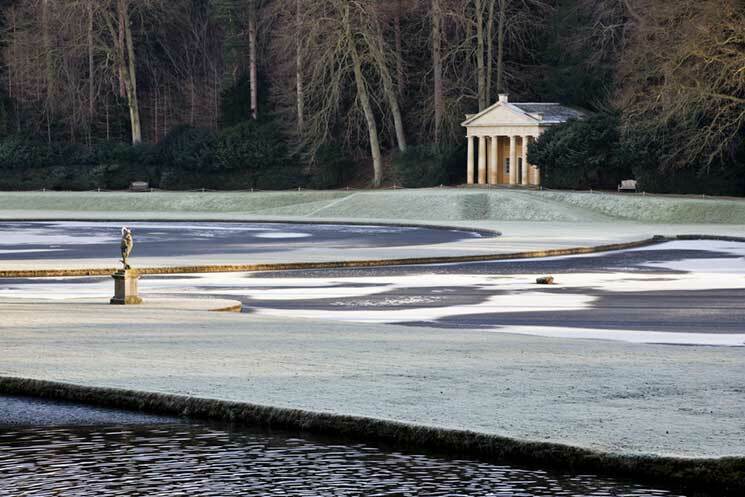 This special place is now recognised as a World Heritage Site and its elegant water gardens, with its ponds, statues and follies takes on an ethereal quality in winter. 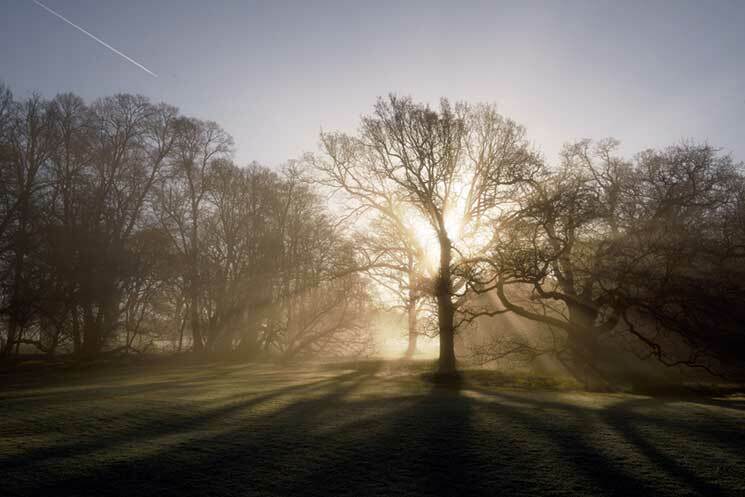 The always-atmospheric ruins of the abbey glint in the frost as the green lawns stretch down to the riverside, where paths lead to the deer park, home to Red, Fallow and Sika deer and ancient trees; limes, oaks, and sweet chestnuts. Perfect for a winter stroll. This 18th-century house is surrounded by ancient trees, bubbling brooks and rolling lawns. In the winter, Mottisfont’s winter garden matures into a unique landscape, full of horticultural treasures such as brilliantly coloured dogwood bark and silvery ornamental bramble provide splashes of colour alongside berries and fruit, as well as late flowering shrubs such as mahonia, sweet-smelling winter honeysuckle and daphne. Get your walking boots on for a slice of natural beauty. 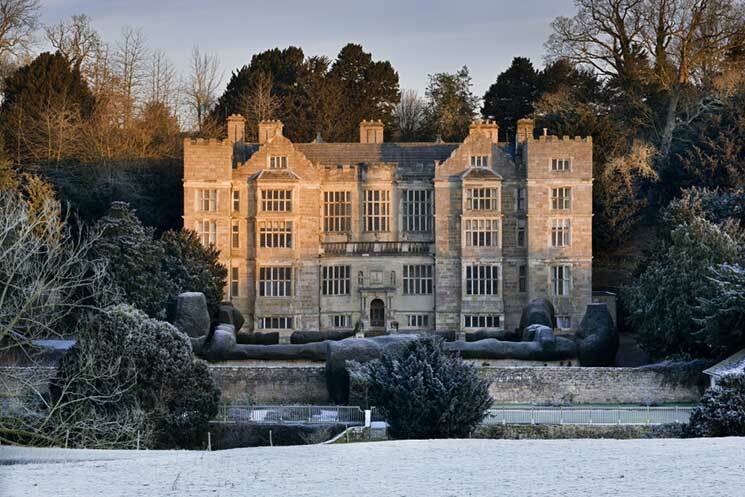 This breathtaking red-brick mansion and ancient yew hedges sit at the heart of a magnificent garden and historic park in the beautiful Bure meadows which come alive in the colder weather creating a winter wonderland. The formal garden is the result of three centuries of inspired planting, and the undulating parkland is great for exploring, where there are way-marked walks and cycle trails to keep you on track. Set out to discover the lost buildings, stunning views and wildlife that nestles amid the grounds. Osterley is one of the last surviving country estates in London and wander in the ever-evolving Winter Garden where you can admire bursts of coloured bark and fabulous leaf shapes as the winter sun throws long shadows on the lawns, or follow the Long Walk around the Great Meadow for a shaded woodland stroll. Mrs Child’s Flower Garden provides a relaxing walk and colourful beds all year but are perfect for a stroll on a crisp winter’s day, and the catch the final bursts of colour from the Ornamental Vegetable Garden, the canary yellow obelisks standing proud among the final purple cabbages and chard.